When you are in a service-based industry, the longevity of your business depends on how well you are able to communicate with your clients. This concept is something which dentists need to be wary about. When you want your patients to remain in your practice for a long time, you need to work at establishing a stronger relationship with them. According to a recent study, a five percent rise in customer retention can lead to an increase in profits by twenty-five to ninety-five percent. Here are a couple of tips to better communicate with your patients. The idea of sending emails to your patients is not something which just sprouted out. However, the more effective email campaigns are the ones which are based on the preferences and spending habits of your patients. You cannot expect a middle-aged patient to be interested in getting braces so if you’re sending email newsletters focused on the said topic, don’t expect everyone to respond. However, if you send targeted newsletters, you’ll get higher response rates because you’re sending them things which they are personally interested with. You cannot answer every question which your prospect or patient throws you with online, but you can preempt them and provide the answers before they even start asking. This is the entire purpose of your FAQ page. But one thing which you should understand is that your FAQ page isn’t something which should stay the same forever. 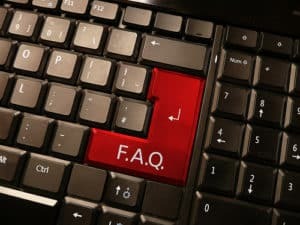 You need to keep your FAQ page updated every now and then and insert new questions. You can create a separate page for every treatment or procedure which you offer so that patients get an overview of the procedure that they are opting for before they even step into your office. Since we are in the subject of communication, answering patient queries in the fastest and most effective way possible is a requirement for establishing better relationships with them. Various social networking websites allow individuals to post their questions and you can answer them real-time. You can use popular websites like Twitter and Facebook. When you are interacting with your patients a lot, you should know the topics which they keep on raising a lot. You can address these hot issues on your dental website by making dedicated pages. Make sure that you come up with comprehensive and really helpful articles so that patients will look forward to these pages. Guest post from Elliot Pearson, he enjoys writing about dental website services and dental seo marketing for all types of dentists worldwide. If I had a dollar for every potential client that asked me What is SEO? I would be very well off indeed! When it comes to communicating, I find it really begins with the client. If we can’t make them understand what we are doing, the customer has no hope. Good article! It’s funny how little anyone actually reviews a FAQ page anymore. I think that due to the growth of social media as a communications channel, customers have just grown use to personal contact with corporations. Do you think an FAQ page has as much clout now as it did in the earlier days of the internet? I see a lot of sites now that don’t even have one.